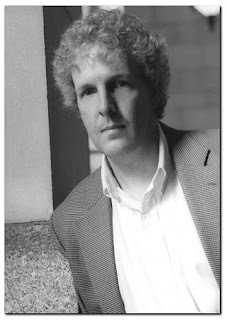 I met Steve Hamilton at the first Bouchercon I ever attended. It was 2002. The ink was barely dry on my first book, and Steve had already produced three or four novels. He had won the Edgar and the Shamus awards, been shortlisted for an Anthony and a Barry - in other words, he was the shizz. We had the same editor - the legendary Ruth Cavin - and on the basis of that relationship, I hit him with a few questions about publishing. We wound up talking for over an hour, and he gave me solid advice about writing and my career that has served me to this day. Steve’s been nominated for a Best Novel Edgar for The Lock Artist, a brilliant stand-alone. In June, Misery Bay, the eighth book about his much-beloved series character, Alex McKnight, launches. He was good-humored enough to knock a few questions around the field with me. JULIA: What moved you to write a new Alex McKnight novel? Aside from relentless badgering from your legions of fans, which includes me. STEVE: I always knew I'd come back to see what he was up to. I never figured it would take so long (it'll be nearly five years since the last one), but that's what happens when you get totally lost on a big standalone. 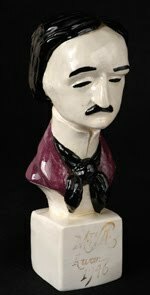 JULIA: You are once more an Edgar Award nominee, this year for THE LOCK ARTIST. Tell us a bit about it. It's been well-received in Young Adult circles as well. Did you write it as a YA? STEVE: This will make me sound like the most dense and oblivious person ever, but I swear it's true... I've been promising myself that I'd try a YA novel at some point, but THE LOCK ARTIST wasn't it. At least, it wasn't supposed to be. I wrote that as an adult crime fiction standalone, but after I was all done and a very smart first reader read it, she said to me, "I didn't know you were writing a Young Adult book!" After she made me look at the story from a higher level (protagonist is 17 going on 18, trying to escape from a world he wants no part of, just trying to get back to the girl he loves), I realized she was totally right. But even then, the book didn't come out as a YA book and was never marketed that way. But right now if you go to Amazon and look at that "People who bought this book also bought..." list, the first 25 books are all YA. You literally have to go 26 books deep to find an adult mystery. JULIA: Paradise, Michigan is such an amazing place that it is almost a character in itself. Is it based on any place you've lived? Or is it a composite? Or simply a remarkably vivid fantasy? JULIA: What writing projects are you working on now? 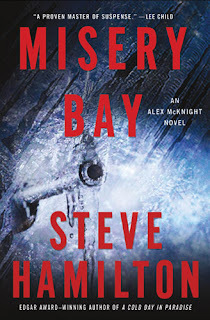 STEVE: Well, MISERY BAY (coming out in June) is the return of Alex McKnight, and I wasn't sure what I'd do after that. But everyone who has read this book says it's like Alex 2.0, bigger and better, so now St. Martin's would like me to do some more. So the next two books will both be Alex again. JULIA: How do you manage to juggle two full-time jobs (with IBM and writing), which one is your day job, AND is it true you fit in a bit of golfing along the way? STEVE: I'm fortunate that the people I've worked with at IBM (for 28 years now!) are all fantastic and they're very proud of my other career and they give me a lot of flexibility to make both things work. I write late at night, after everybody's gone to bed. And yeah, I'm afraid I do golf. I grew up in a golf family, with me and my cousin being the two holdouts. Now he's a golf pro, and I'm out there whenever I can. (Which isn't that often, believe me.) It's in my blood whether I like it or not -- sort of like being a vampire. STEVE: For the classics, anything by Hitchcock (especially Vertigo, and Rear Window). Oh, and of course Caddy Shack, a watershed moment in film. Recently? I thought the Coen Brothers nailed No Country for Old Men, off-stage ending and all. And another great adaptation, Winter's Bone. A big welcome Steve--I LOVE Alex McKnight and can't wait for that new book! 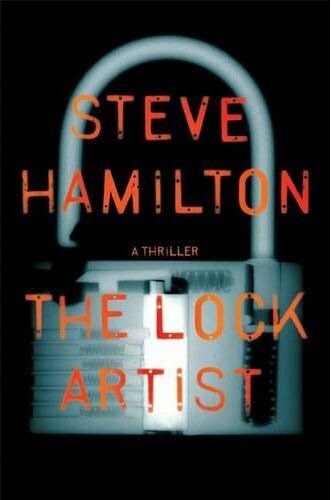 Good luck on Thursday with THE LOCK ARTIST, which was a fascinating story and so different from the UP PI books. It never occurred to me that the book was for young adults, but wonderful if your audience has grown! Julia, I'm a huge fan of both Steve and his writing. When I had finished my first novel (about a lady golfer), I wrote Steve out of the blue (never laid eyes on the guy!) and asked if he'd consider reading it. He did, and wrote my first ever blurb. Thanks for that early kindness Steve! OH, Steve, welcome! I'm loving The Lock Artist--Julia, I'm with you on the writer-envy deal. Eager to chat at the Edgar symposium,..we're going to have a terrific panel. Come back when your new book comes out, okay? Congratulations on another Edgar nomination, Steve! I was reading your interview just now and said to my husband (who's from western Michigan), "Hey, there's really a Paradise, Michigan!" His response, "Yes, and there's Valhalla, Nirvana, and Hell, Michigan," all of which he's visited. He might pick up your book just for the location, since he's not generally a mystery fan--of course he'll have to wait till I read it first. :) Best of luck at the awards! Thanks for visiting! I'll be at the Edgars too, but I look forward to REALLY meeting you at ALA in New Orleans. Best of luck Thursday night!